This system was designed to maximize the Pre, Peri and Post workout phases of your training program. The pre workout supplements help ensure focus, energy and stamina to take you through your toughest training session. The Intra workout supplementation was designed to help start feeding the recovery process while you train. By shuttling vital nutrients into muscle cells before training we can get a head start on the recovery and growth process. 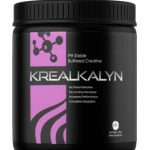 The post workout supplements help ensure that all vital components are readily accessible for growth and recovery post workout. Once the muscle has been stimulated it relies on outside nutritional support for the repair process. Utilizing the Hypertrophy System correctly will ensure that all aspects of your training are covered and that lean muscle growth is forthcoming. 2. Intra or Peri-Workout – It’s actually during the workout where muscle tissue is most susceptible to being “Super Saturated” with amino acids, and other micro nutrients that will aid in anabolic muscle building growth. 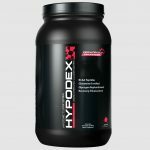 HypoDex is a key element during this time as it’s core ingredient, (Highly Branched Cyclic Dextrin) continues to drive energy and power through the muscular system by way of highly absorbable non-insulin affecting carbohydrates. This simply means longer, more intense workouts while maintaining incredible pumps and muscle saturation. The end result is obviously greater pumps, increased vascularity, muscle hardness and faster growth response. 3. 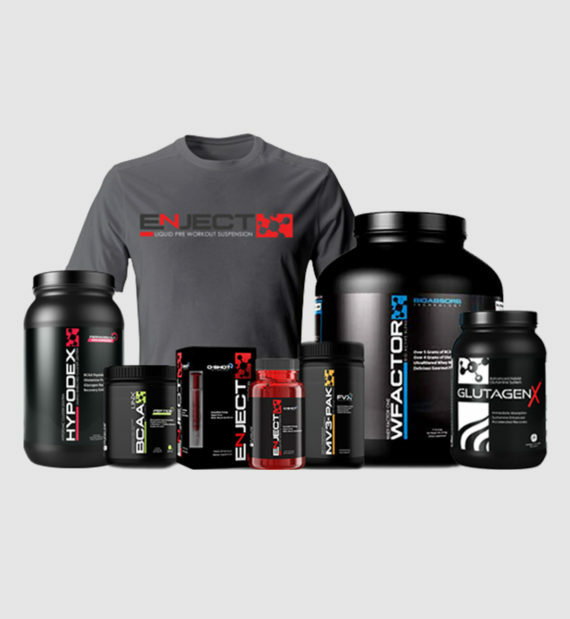 Post Workout – Post workout nutrition is without a doubt the most important period for using a combination of the right compounds for accelerated growth, muscle recovery and to ensure that your next training session is just as good as your last. During this time your body has what’s referred to as an “Anabolic Window” in which nutrients can be used at an alarmingly fast and high rate. Despite what you may have read..this window is real..and top pro’s in the industry understand it and take full advantage of it. The easiest way to ensure your body has received everything possible from this window is to use a combination of BCAA’s (in a peptide form such as Pureline’s BCAA LINXs, Whey Protein, Hypodex (Highly Branched Cyclic Dextrin), a Glutamine/Sustamine Blend (GlutagenX) and Creatine Monohydrate. 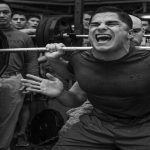 Those supplements mixed with water post-workout will ensure that severely damaged muscle tissue has everything necessary to rebuild and grow bigger, denser and more complete than before. Drinking this within 20 minutes of your last set is recommended for best results.